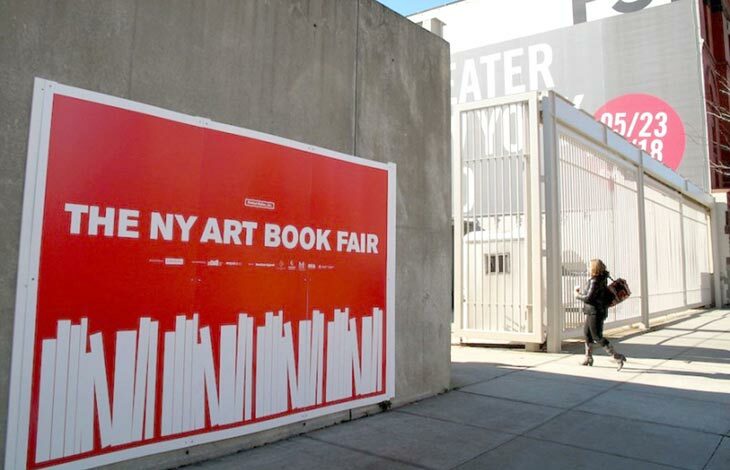 The sixth edition of the New York Art Book Fair is approaching, taking place at MoMA PS1 between September 30 and October 2. At a time when the idea of publishing and the production of print media are constantly discussed, the New York Art Book Fair allows us a yearly survey of efforts in the field of art publishing, as well as the ability to reevaluate and reconsider publishing houses and projects that interest us on a regular basis, and a variety of events, from book signings to lectures and screenings. The Fair features more than two hundred exhibitors: publishers, magazines, independent artists, art institutions, and distributors. In order to facilitate wandering through this expansive event, we rounded up a selection of publishing initiatives, highlighting those that survey new media art, have a strong online presence, or use technology in interesting ways. Piracy Project / AND Publishing. Based in London, the Piracy Project is a publishing and exhibition project that organizes workshops, lectures, and open calls for pirated book projects, all directed at creating a platform from which to think about ideas of copying, re-editing, paraphrasing, and so forth. Badlands Unlimited. Founded by artist Paul Chan, Badlands Unlimited publishes both e-books and physical artists' books. The e-books are interactive and unlike many other art e-books, take full advantage of what the technology offers by including text, images, and films. See Sarah Hromack's interview with Paul Chan here. Half Letter Press. Initiated by Chicago-based collective Temporary Services, Half Letter Press has an online reading room with some of the best links on the internet, and they publish and distribute books on art and theory. Eikon is a bilingual German-English journal published in Vienna that focuses on photography and new media art. Fillip, published in Vancouver, cover critical writing and thinking about contemporary art. They have a strong online presence with podcasts, news, and articles, but also publish a print biannual magazine as well as a series of books. Paraguay Press (castillo/corrales). This Paris-based space and publishing house is managed by a group of artists, writers, and curators that produce castillo/corrales and Section 7 Books. They publish artists' writing, theory, catalogues, and the journal MAY. Casco - Office for Art, Design and Theory is an Utrecht-based space whose publications initiative include the magazine Casco Issues, as well as books. mono.kultur. Each issue of mono.kultur is simply one interview with one artist, writer, filmmaker, etc. Past issues include artists like Taryn Simon, Ai Weiwei, Cyprien Gaillard, and Ryan Mcginley. SKOR, the Amsterdam foundation publishes Open, a journal on art and public domain. Bureau for Open Culture reconsider the exhibition and the diffusion of knowledge in the art world. The books, manuals, and other publications are all available as PDFs on their website as well. See the interview with its director and curator James Voorhies in Rhizome here. The Serving Library is a new project by Dexter Sinister, an online archive of downloadable texts and a small library space in New York. Artists' zones pecha kucha: ten five-minute artist presentations. Screening: Typographic Matchmaking in the City. The Internet of Things: Volume Magazine contributors discuss the topic of Volume #28. Confessions of a Book Thief, a presentation by artists Paul Branca and David Horvitz. Zine Swap: artist Ryan Foerster hosts a zine trade-up at PS1's courtyard throughout the fair. Book Coop: e-flux’s book coop, a mobile home featuring publications by over 200 international art centers, artist-run spaces, and independent publishers, will be present at the courtyard. 40 ARTISTS / 40 WORKS / 40 YEARS: in celebration of the fortieth anniversary of Electronic Arts Intermix, a series of screening will take place in the Basement Vault throughout the fair, showing forty works by forty artists from the last forty years.